State and Federal hemp law compliant. Working directly with the State of Kentucky, which legalized the commercial growing of industrial hemp, Harpers Gold is compliant with all existing laws in relation to hemp extracts and byproducts. The 2014 Farm Bill allows companies like Harpers Gold to beat outdated myths about hemp. 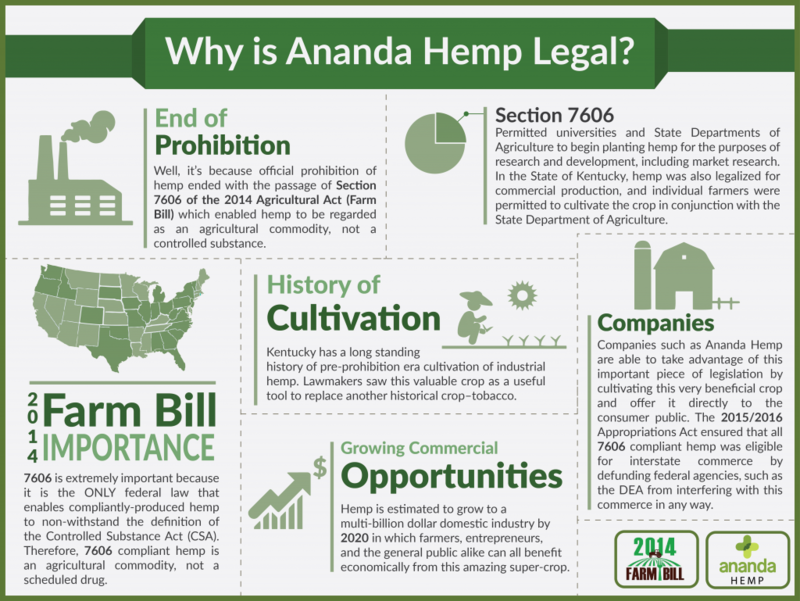 While these changes won’t happen overnight, every Ananda Hemp customer is doing their part to take a stand.